Choosing to love children far away; as they become our neighbors. Our story begins in Thailand in 1992 when MIPC members and friends wanted to help prevent trafficking of young girls by establishing a school scholarship fund to give poor girls a choice and hope for and about their future. 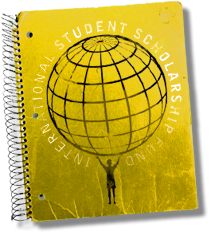 Updated in 2005 with new partnerships in Vietnam, South Africa, Cambodia, and Mexico, the International Student Scholarship Fund has grown to be able to send about 200 students to school. In each geographic location, we have a trusted partner who chooses the students and administrates the program at no charge to us. Each scholarship costs $350 per year and each sponsor commits to supporting their child through secondary school or university for the same amount. Our partners in each country sees to it that there be yearly communication between the scholarship student and the sponsor (Or in the case of The Child Academy, with each class). Good in-country administrators are the key to a successful program. As you know, poor children are often not able to attend school because their families cannot pay all the costs connected with schooling. Costs for uniforms, books, examination fees and other fees are still part of a “free” education. These costs are prohibitive for the poor, yet we know that an education is the best hope for a better life for poor students and their families. For more information, e-mail Glo Ceteznik (GloC@MIPC.org). Tijuana, Mexico | Many of our families have built homes for poor families in Tijuana through HWB. We have now started an education fund which allows students to go to school and get afterschool tutoring. become part of a caring community. are in regular contact with hundreds of poor students and their families in central Vietnam. Visiting one of our students in Phnom Penh. provides scholarships to AIDS orphans. scholarship program there for poor girls since 1992. Children at the Child Academy in Tembisa, South Africa. and families living in extreme poverty.